New Zealand Prime Minister Jacinda Ardern addresses the media on March 16 in Wellington, New Zealand. 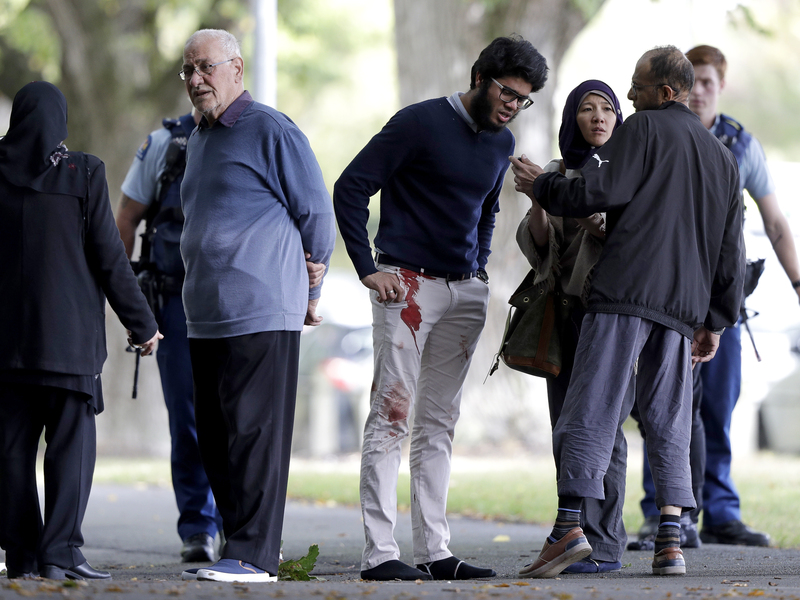 Ardern said she would seek a change in her country's gun laws after after at least one man opened fire during afternoon prayers Friday and killed at least 49 people at two mosques in Christchurch. Chief of surgery at the Christchurch Hospital, Greg Robertson, said on Saturday afternoon local time that of the 48 people originally admitted there, 39 were still hospitalized, 11 in intensive care and critically ill. A 4-year-old girl was transferred to another hospital. Four people died on the way to the hospital, he said. Robertson said it is unusual for local surgeons to treat gunshot wounds. But he noted that they've seen things that have been "pretty terrible" in the earthquake of recent years. He said they've had this experience "and we wouldn't want to get more." New Zealand police have charged a 28-year-old man with murder and he made an initial court appearance that lasted about a minute, according to The Associated Press. The man was ordered to return to court on April 5, AP reports. 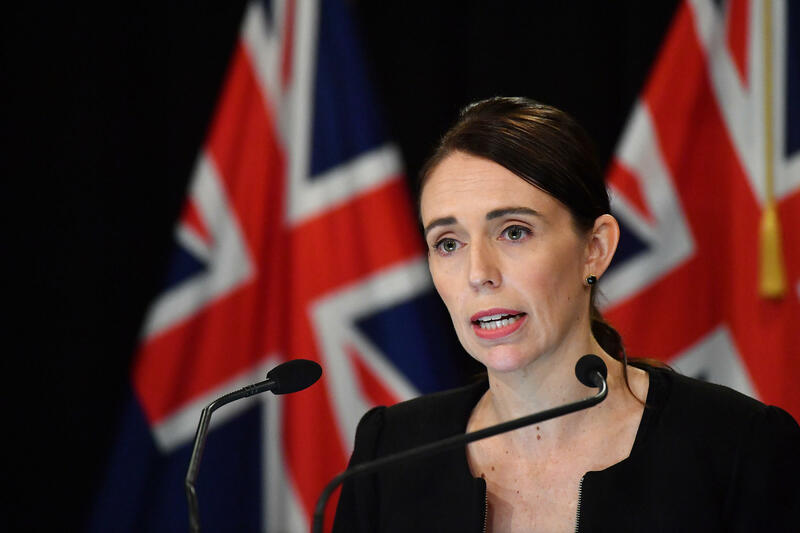 Prime Minister Ardern also revealed that the suspected "primary perpetrator" and his apparent accomplices were not on any terror watchlist in New Zealand or Australia. Ardern said that the suspect had a gun license and legally purchased his weapons. People stand across the road from a mosque in central Christchurch, New Zealand, following shootings at two mosques that killed 49 people on Friday. "We are seeking answers," she said in relation to how the gunman, a citizen of Australia, entered New Zealand. Ardern said he had two semi-automatic weapons and two shotguns. She said a lever-action shotgun "was also found." At a press conference later on Saturday local time, Ardern said "it absolutely was his intention to continue with his attack." She also said that she had met with relatives of the victims and their "key concern" was to have access to their loved ones' remains for burial. According to Ardern, New Zealand will make "weekly compensation" available to victims' dependents on an ongoing basis, even for "a number of years." "This person was not known to any of us, hadn't been reported to any of us, has no previous convictions that we can understand, was not a person of interest to either jurisdiction," Bush added. Ardern has emphasized that she wants authorities to look into what signs there may have been on social media or other channels that might have alerted authorities to the main suspect before the attacks. Police have opened a dedicated form online for anyone with information about the attack. "You don't think that something like this could happen in New Zealand," a young woman named Yasmin Ali told reporters. "In Christchurch of all places. We're such a small community. We're so kind and loving, so I just don't understand why someone would hurt us like this." Farid Ahmed told The Guardian he was at Al Noor during the attack and heard the shooter change magazines seven times. "When the shooting started people started rushing out, running out and the door is closed," recalled Ahmed, whose shirt was stained with blood. "There was a bench and I lied down and [hid] my half body under the bench and my legs are out, pretending to stop my breath." Len Peneha said he lives next door to Al Noor and saw a black-clad man wearing a helmet enter the mosque. The sound of dozens of shots rang out, he told AP. Peneha said the man ran out, dropping a gun as he fled. Peneha went inside to try help the victims. "I saw dead people everywhere. There were three in the hallway, at the door leading into the mosque, and people inside the mosque," he told the news service. "I don't understand how anyone could do this to these people, to anyone. It's ridiculous." He said women around him rose up and screamed, "Do not come here," at the gunman that and some of them charged at the assailant. "The shooter was screaming a lot and waving the gun in every direction, shooting, shooting, shooting," Hassan said. "I don't know who of my friends is dead or alive now. I am waiting. Police told me: 'I am sorry, this is the first time this has ever happened in this country.' 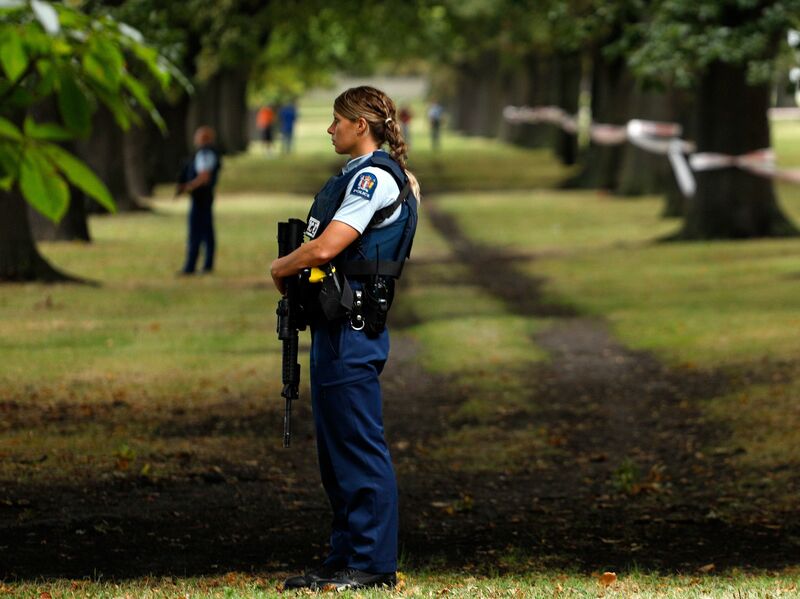 "
Police officers guard the area near the Al Noor mosque on Friday after a gunman killed 41 people there. Before the shootings, a man who identified himself as a white man from Australia allegedly posted a 74-page, hate-filled screed online, and then live-streamed the killings on Facebook. The massacre rocked a small, peaceful nation where such events are extremely rare. Following the attack, New Zealand's national security level was changed from "low" to "high." Earlier, Ardern had described Friday as "one of New Zealand's darkest days." She called the shootings a terrorist attack, one that appeared to have been well planned. With a grim expression, she said the country seems to have been targeted because of its welcoming and tolerance. "We were not chosen for this act of violence because we condone racism, because we are an enclave for extremism," Ardern said during a news conference in Wellington. "We were chosen for the very fact that we are none of these things. Because we represent diversity, kindness, compassion, a home for those who share our values, refuge for those who need it. And those values, I can assure you, will not, and cannot, be shaken by this attack." Prior to Friday's attack, the country's deadliest shooting occurred in 1990, when a man killed 13 people following a dispute with a neighbor. Christchurch is New Zealand's second-largest city, with a population of about 375,000 people. "Our city has changed forever today," Mayor Lianne Dalziel said in a statement. "It is beyond belief that something like this should happen in our city and in New Zealand." In his screed, the suspected gunman said he had been planning the attack for two years. He claimed to represent Europeans and whites in a battle against immigrants, people he repeatedly described as "invaders." He also referred to the right to bear arms as laid out in the Second Amendment of the U.S. Constitution, and claimed that attempts to take away guns in the U.S. will lead to a civil war. A front page of New Zealand newspaper The Dominion Post reflected the sense of shock and grief: "End of innocence." New Zealand's ambassador-designate to the U.S., Rosemary Banks, told NPR that authorities are "convinced this particular event is over." "We are a very diverse society, we have over 200 ethnicities, 160 languages ... we have been very welcoming to outsiders," Banks said Friday. "For these people who are victims in these mosques — they are refugees, they are people who are from our migrant communities who've chosen to live in New Zealand, thinking they would find a safe place where they could be free in their religion and their culture." The White House released a statement condemning the attacks. "Our thoughts and prayers are with the victims and their families. We stand in solidarity with the people of New Zealand and their government against this vicious act of hate." The alleged gunman reportedly streamed 17 minutes of the attack on Facebook. The social media platform removed the video and removed the suspect's accounts. The company says it is working directly with the New Zealand Police, the country's national police force, in its investigation. In a statement, according to the AP, Facebook New Zealand spokeswoman Mia Garlick said that the company is "also removing any praise or support for the crime and the shooter or shooters as soon as we're aware." Twitter and Google, which owns YouTube, say they're working to remove any video of the shootings from their sites, as well. Versions of the video reportedly persisted on the sites for hours after the shootings. "You may have chosen us," Ardern said Friday, "but we utterly reject and condemn you."